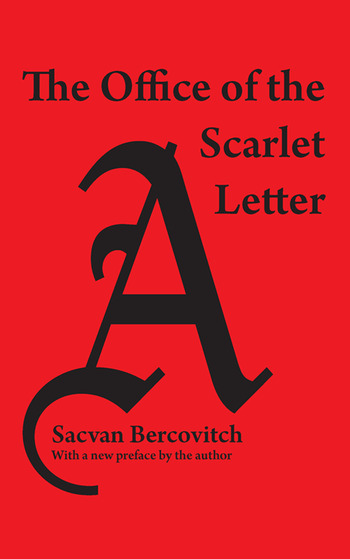 "The Scarlet Letter has proved our most enduring classic," writes Sacvan Bercovitch, "because it is the liberal example par excellence of art as ideological mimesis. To understand the office of the A is to see how culture empowers symbolic form, including forms of dissent, and how symbols participate in the dynamics of culture, including the dynamics of constraint." With an approach that both reflects and contests developments in literary studies, Bercovitch explores these connections from two perspectives: first, he examines a historical reading of the novel's unities; and then, a rhetorical analysis of key mid-nineteenth-century issues, at home and abroad. In order to highlight the relation between rhetoric and history, he focuses on the point at which the scarlet letter does its office at last, the moment when Hester decides to come home to America. In The Office of "The Scarlet Letter," Bercovitch argues that the process by which the United States usurped "America" for itself, symbolically, is also the process by which liberalism established political and economic dominance. In the course of his study, he offers sustained discussions of Hawthorne's irony and ambiguity, of aesthetic and social strategies of cohesion, and of the conundrums of liberal dissent. Winner of the Modern Language Association's James Russell Lowe prize, The Office of "The Scarlet Letter" provides a theoretical redefinition of the function of symbolism in culture and an exemplary literary-ideological reading of a major text.